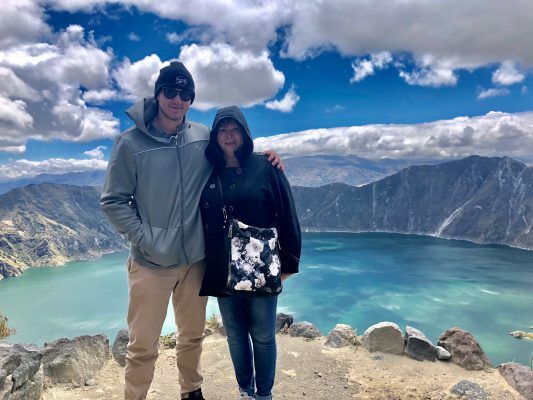 It was a family trip for our team leader Mike Black who flew with Mommy Black and Casey last Thursday to Ecuador for their very first time. 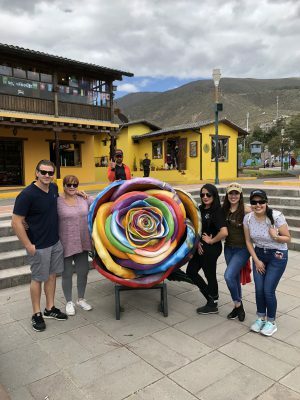 Not only did they get to go sight-seeing, enjoying the incredible views in Ecuador, but they also went to our rose farm, Jet Fresh Flower Growers, S.A. in Cotopaxi, Ecuador. 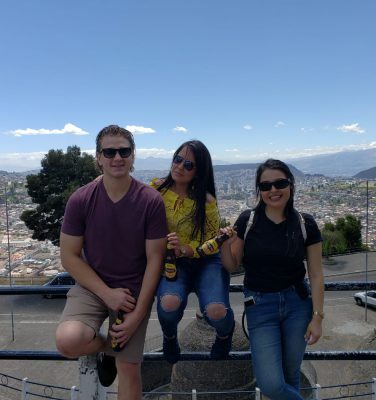 All three spent the week with our amazing Quito team who escorted them around their week-long trip, taking them to all the best spots in Quito and making it the perfect balance between business and pleasure. 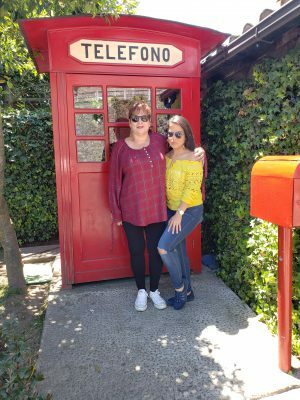 Consider these hot spots while you’re planning your tour to our farm in September. 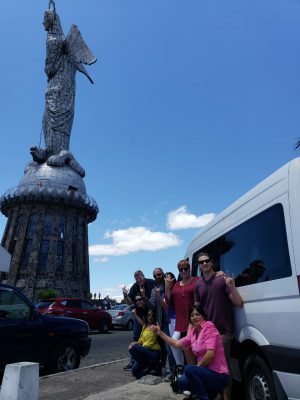 They stayed in Quito where they saw the Virgin of Quito, aka the Virgin of the Apocalypse, located between central and southern Quito. 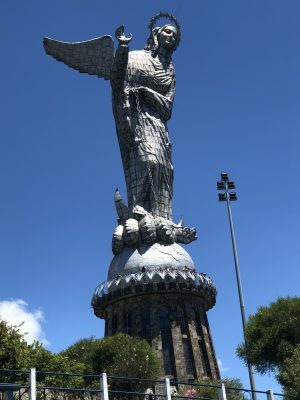 The sculpture can be seen from any location in the city, and depicts the virgin standing on top of a globe while stepping on a snake with angel wings. 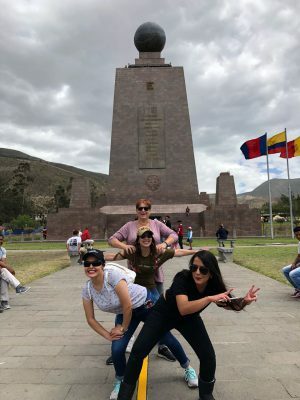 The statue rests on El Panecillo (resembling a type of small bread) 200 meters high with a peak elevation of 3,016 meters above sea level. 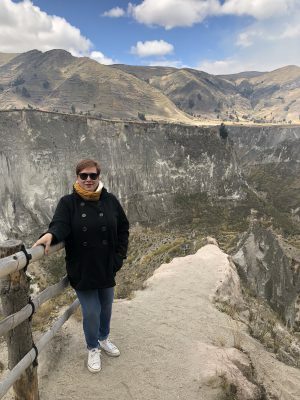 The volcanic-origin landmark has loess soil: clastic, mostly silt-sized sediment that is formed by the accumulation of wind dust. 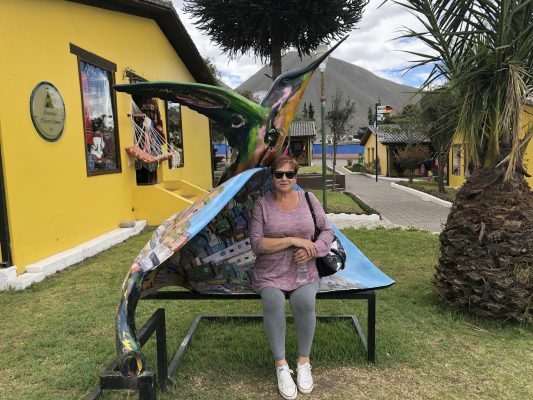 The equator line is a must-do when visiting Quito. 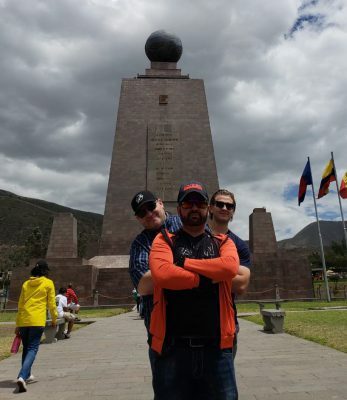 The monument to the equator and the plaza that divides the world in half is located in Ciudad Mitad del Mundo – Middle of the World City, in San Antonio de Pichincha about 20 minutes away from Quito. 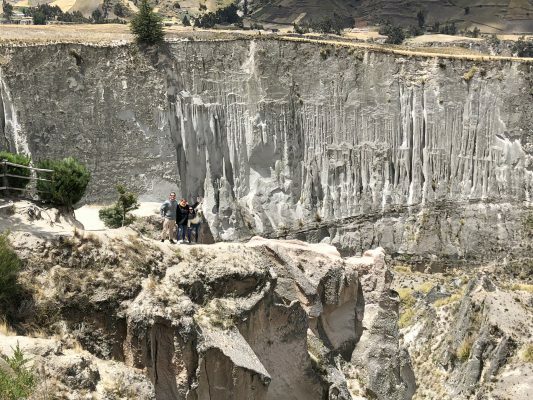 The Canon del Rio Toachi, or Toachi River Canyon is located in Pujili on the road beween Zumbahau and Quilotoa Crater. 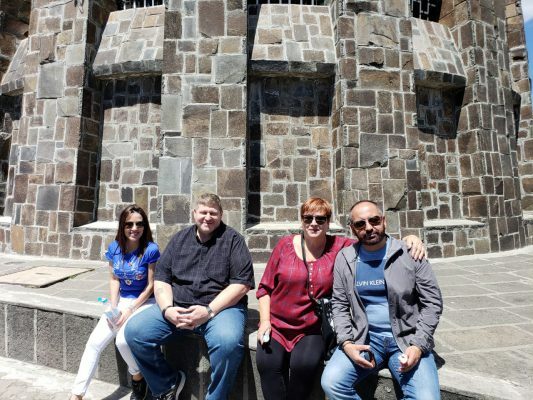 It’s a great lookout point if you’re not too afraid of heights. 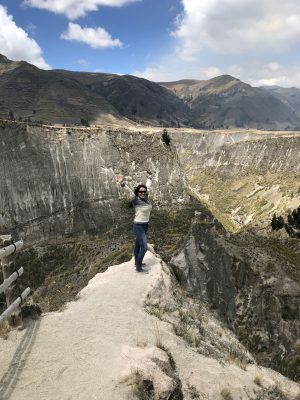 Quilotoa is a water-filled caldera and the most western volcano in the Ecuadorian Andes. The 3-kilometre-wide caldera was formed by the collapse of this dacite volcano following a catastrophic VEI-6 eruption about 600 years ago. Consider extending your visit with a gorgeous kayak on the lagoon. Since becoming owners last March, we have made some great changes to the farm as well as our varieties that we’d love for you to see. 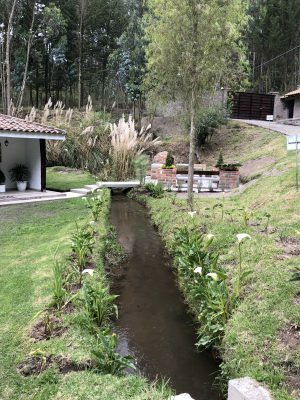 On your next trip to Ecuador, schedule a tour of our rose farm, Jet Fresh Flower Growers, S.A. in Cotopaxi. 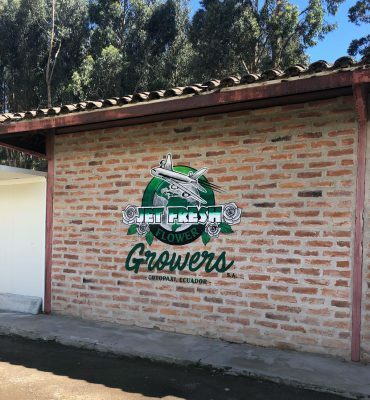 Contact us at Growers@JetFreshFlowers.com to plan your next visit. 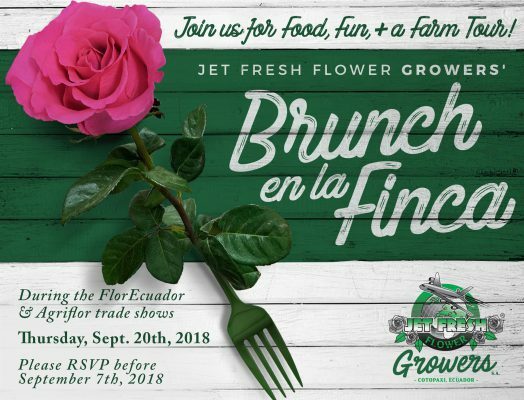 Don’t miss out on Brunch en la Finca September 20th which includes a tour of our farm plus brunch with bottomless mimosas. 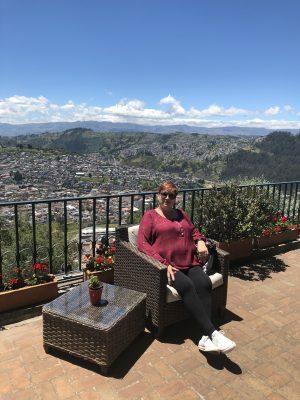 This entry was posted in Jet Fresh Flower Growers, News and tagged Ecuador, Farm, quito, tourist, vacation.